This church was dedicated in 1303. 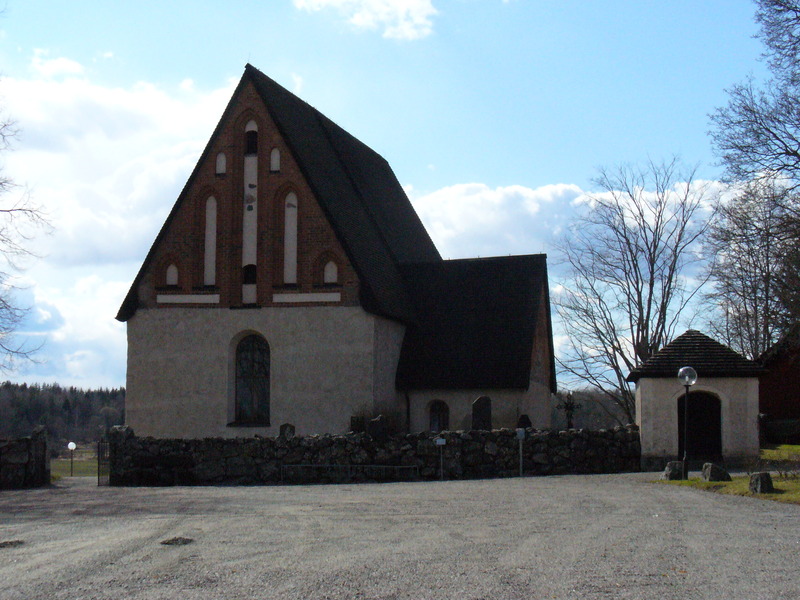 It is believed that there was already a small church here built in the 1200’s in romanesque style. The current church is done in Gothic form. The area around the south door is done in german style with red and black brick painted with reliefs (if I’m translating correctly). There are pieces of runestones here as well. Part of Uppland’s Rune Stone #470 is set into the churchyard wall (like Börje’s stone). If you look in the pale vertical sections above the window in the picture, you can see other peices of rune stone which may or may not be the rest of #470 or parts of yet others.